Designed by Flad Architects, the state-of-the-art, 54,000-square-foot translational research facility focuses on the study of diabetes, obesity, and the metabolic origins of cardiovascular disease, bridging the gap between the research lab and the patient's bedside – allowing for scientific discoveries and treatments to be developed more quickly and on a more personalized level. As the prevalence of diabetes continues to increase at alarming rates affecting more than 24 million Americans, the recently completed Florida Hospital – Sanford Burnham Translational Research Institute for Metabolism and Diabetes (TRI) will take the prevention, diagnosis, and treatment of diabetes and obesity to the next level. "We are witnessing an epidemic of obesity and diabetes in the United States. Current statistics show that two-thirds of all Americans are overweight and obese and 1 in 12 has some form of diabetes," said Dr. Steven Smith, scientific director of the TRI. "These staggering statistics call for decisive action and that includes innovative research. The main goal of the TRI is to generate new knowledge to improve lives through research." The facility houses laboratory and clinical trial space for testing the safety and efficacy of potential treatments developed on site in collaboration with the Burnham Institute. A feature of the facility is the four calorimeters (also called ‘whole body’ respirometers) – a highly sensitive system to measure a person’s energy expenditure and the type of food a person is burning. Two of the calorimeters are the first ever designed for precisely measuring energy expenditure at rest or during exercise. The other two are large units (about the size of a college dorm room) and are intended for maximum comfort during studies that can last several days. This project represents the largest and most capable calorimeter lab to be created by MEI Research, Ltd. in nearly 30 years and will benefit their work which is performed under funding by the National Institutes of Health. The building has an atmosphere of hospitality for volunteer overnight stays, but also provides behind the scenes hospital-like support for nursing staff and food preparation. Because food is administered in prescribed types and quantities, a research food preparation kitchen is provided on site for preparing, packaging, and administering food for each volunteer. The Translational Research Institute for Metabolism & Diabetes will be a landmark building for Florida Hospital and the signature building in their new Health and Research Village in Orlando. 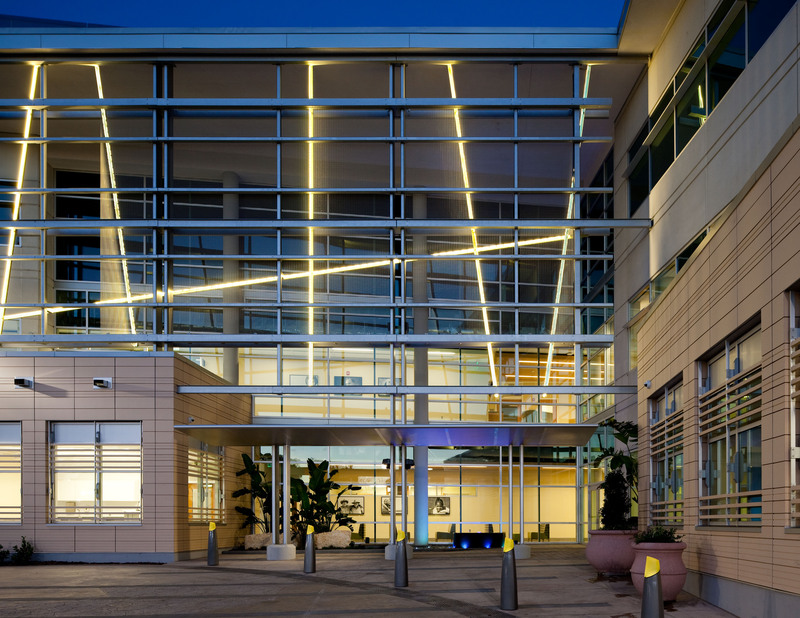 “The design for the Translational Research Institute provided a unique opportunity to envision a singular facility dedicated to research in which a true bench-to-bedside capability was created, and whose form and expression is a direct reflection of the mission it supports,” said Jeffrey Raasch, design principal at Flad Architects. Designed with sustainability goals, the project is pursuing LEED Gold certification. Flad Architects (http://www.flad.com) specializes in the planning and design of innovative facilities for healthcare, higher education, and science and technology clients. With offices throughout the United States, Flad is a nationally recognized leader in serving the complex needs of knowledge-based organizations. 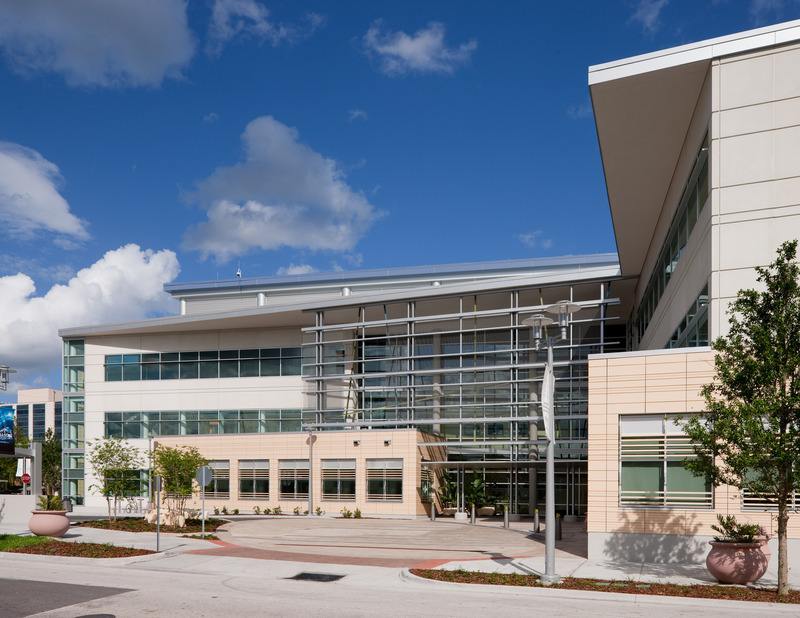 The Florida Hospital-Sanford-Burnham Translational Research Institute for Metabolism and Diabetes (TRI) is the product of an innovative affiliation between Florida Hospital and Sanford-Burnham Medical Research Institute. By linking one of the largest not-for-profit hospitals in the country with a nationally renowned basic science leader, the TRI bridges the gap between the research bench and the patient’s bedside. The mission of the TRI is to extend and improve the quality of lives through the translation of fundamental scientific discoveries to the diagnosis and treatment of human disease. For additional information, please visit http://www.tri-md.org. Florida Hospital is a faith-based institution focused on providing whole person care. The more than 2,000-bed system is comprised of eight hospitals and 18 Centra Care locations throughout Central Florida. For more information, please visit http://www.floridahospital.com. Sanford-Burnham Medical Research Institute is dedicated to discovering the fundamental molecular causes of disease and devising the innovative therapies of tomorrow. Sanford-Burnham, with operations in California and Florida, is one of the fastest-growing research institutes in the country. The Institute ranks among the top independent research institutions nationally for NIH grant funding and among the top organizations worldwide for its research impact. For more information, please visit http://www.sanfordburnham.org.